Hannah turns two this month. She talks non-stop and gets frustrated when she can't do things herself. But when she is able to accomplish something the look of pride on her face is priceless. That's why I'm such a fan on the Kandoo line of personal care products designed specifically for toddlers. I love the scents. Hannah loves the foaming action. We both love that she can easily use the pumps all by herself. Kandoo's mild formulas are made with natural ingredients to promote healthy skin and hair and are dermatologist tested, hypoallergenic and free of sulfates, parabens and phthalates. 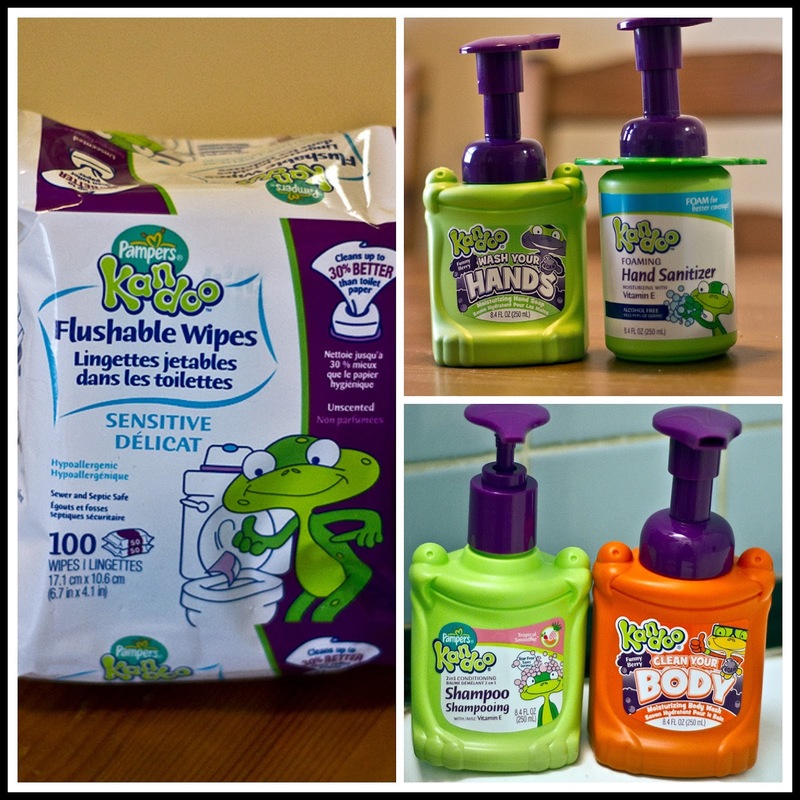 Now that we've got washing our hands, hair and body down to a science, it's time to start making use of Kandoo's flushable wipes! How do you allow your toddler to have independence? Disclosure: We received Kandoo products for the purpose of this review. As always, opinions on this blog are my own.